The Foo Fighters frontman wrote the foreword to From Cradle To Stage, which features interviews with the mothers of Michael Stipe, Amy Winehouse and more. Dave Grohl has lent his support to his mother's new book about parenting rock stars and world famous musicians. 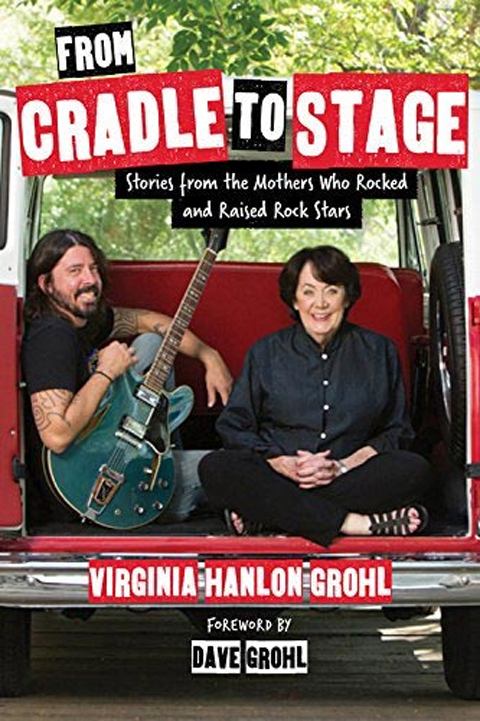 As Pitchfork reports, Virginia Hanlon Grohl's upcoming release, From Cradle to Stage: Stories from the Mothers Who Rocked and Raised Rock Stars, sees her compile testimonies from the mothers of some of the biggest names in music. With a foreword from the Foo Fighters frontman, the book - which is released in April next year - features interviews with the mothers of Haim, Dr Dre, R.E.M's Michael Stipe, the late Amy Winehouse, and more. The book's description on Amazon reads: "While the Grohl family had always been musical the family sang together on long car trips, harmonizing to Motown and David Bowie, Virginia never expected her son to become a musician, let alone a rock star. But when she saw him perform in front of thousands of screaming fans for the first time, she knew that rock stardom was meant to be for her son. "And as Virginia watched her son's star rise, she often wondered about the other mothers who raised sons and daughters who became rock stars. Were they as surprised as she was about their children's fame? Did they worry about their children's livelihood and wellbeing in an industry fraught with drugs and other dangers? Did they encourage their children's passions despite the odds against success, or attempt to dissuade them from their grandiose dreams? Do they remind their kids to pack a warm coat when they go on tour?" It adds: "With exclusive family photographs and a foreword by Dave Grohl, From Cradle to Stagewill appeal to mothers and rock fans everywhere."